This is interesting. Amazon appears to be testing a redesign of its shopping web site that appears to be specifically optimized for tablet browsing. The Next Web discovered several tweaks which seem to be accessible only to a small number of users who are testing out the new design. These include the more prominent search bar and bigger controls, so you don’t have to sand your fingers down. Another tell-tale sign: The new site gives prominence to Amazon’s tablet-friendly services such as Instant Video, MP3 Store, Cloud Player, Kindle, Cloud Drive, AppStore for Android, Game and Software Downloads and Audiobooks. Yes, we might be reading too much into it, but this feels like a part of launch preparations for the rumored Amazon tablet. Enter Amazon.com, whose tablet can compete on price, content, and commerce. If it’s launched at the right price with enough supply, we see Amazon’s tablet easily selling 3 million to 5 million units in Q4 alone, disrupting not only Apple’s product strategy but other tablet manufacturers’ as well. A recent survey from Nielsen revealed that a tablet from Amazon marrying e-reading features of the Kindle to the computing capabilities of tablets could appeal to wide demographics. 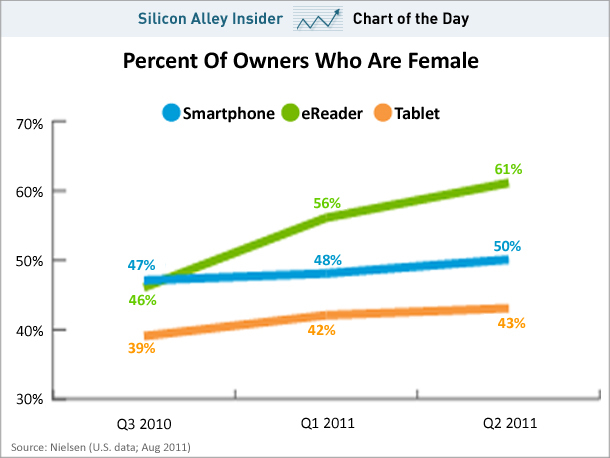 Nielsen says women now amount to a whopping 61 percent of e-reader owners, up from 46 percent last year. As for tablet and smartphone adoption, women climbed only by four and three percentage points in the period, respectively. The numbers led Silicon Alley Insider to joke that “women are from Amazon, men are from Apple”. A New York Post report claims Amazon will bring its tablet to market for “hundreds less” compared to the entry-level $499 16GB WiFi iPad, which sounds a lot like that sweet price point of $299. Supply chain sources told trade publication DigiTimes that Amazon has begun lining up suppliers of parts ahead of manufacturing and a likely Fall launch.